This option is only available if your school or district has created item tags and made them available to you. If you are creating a new assessment, click on Add Assessment and enter the assessment information. If you are editing an existing assessment, navigate to that assessment and click on the Edit button. Click on the Tags field next to the question you're applying it to. Select the tag you want from the drop down list, and it will populate the Tags field. 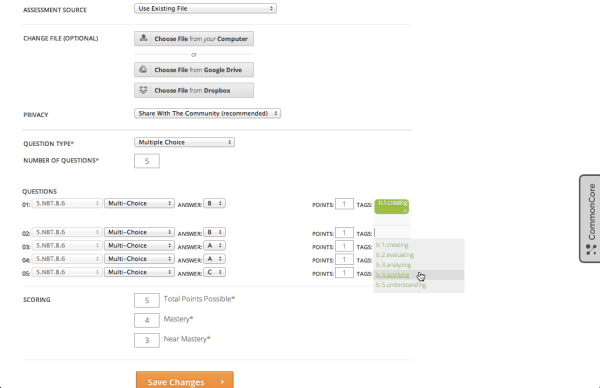 Repeat for each question, then click Create Assessment or Save Changes.